Unfortunately I realised after, that I link to it from my HeeksCNC software, which many people have downloaded, for the Help links from dialog boxes and from the "Online Help" menu item. If you have the full version of HeeksCNC, please send me an email and I'll send you a link to the latest HeeksCNC 1.3, so you can download it. 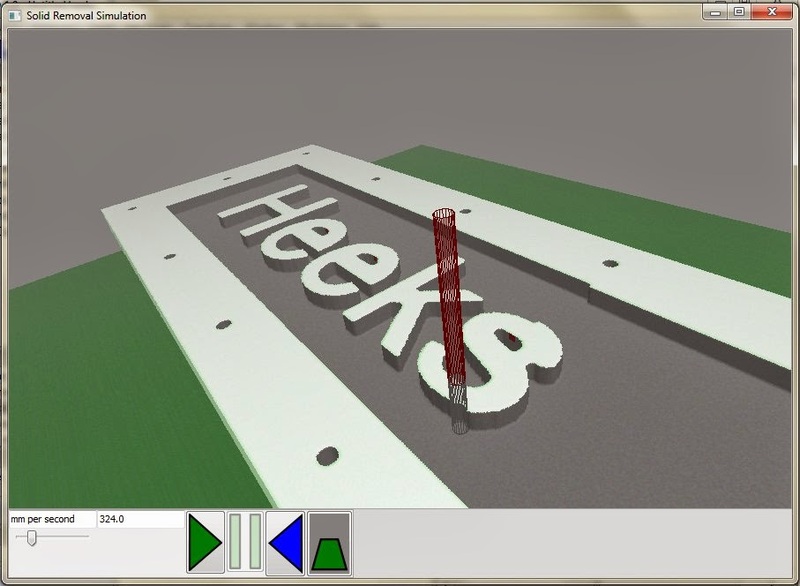 I made a release of HeeksCNC 1.0, my CAD/CAM software, for Windows. 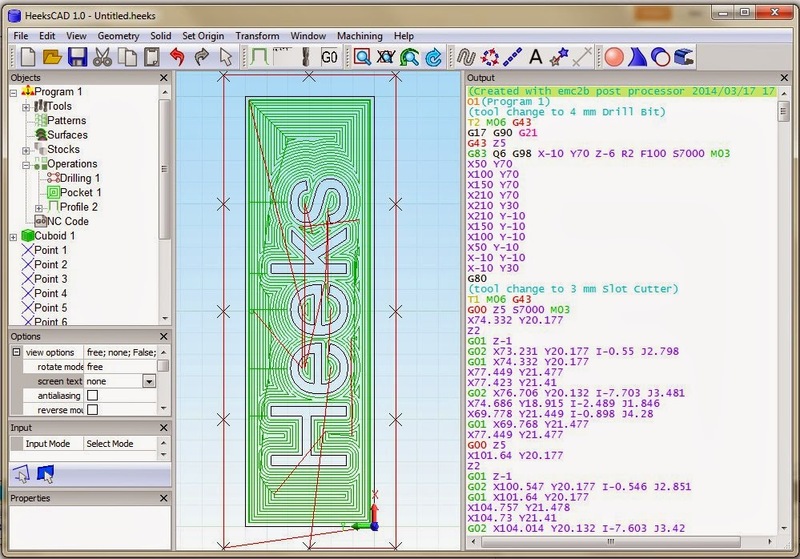 You can program drilling, profile and pocket operations. You can then run a simulation of solid removal. I made a model exhaust cone from aluminium, to fit a friend's 1/5th scale Bloodhound SSC model. I used the manual lathe for most of it, but did the bore with a 16mm tool on the Bridgeport milling machine. The details were done using the 4th axis on my Sieg KX1 and a 3mm milling cutter. I made a bit of a mistake when I forgot to set the profile operation to the surface, so it dug into the part. Hopefully still looks good enough, though. We milled some slots in some steel, to celebrate. Today, we have mostly been milling plastic. We took the table of the manual milling machine, because we kept bumping our hips on the handles when trying to squeeze past it. This gave us more space, so I thought: let's move it completely; we never use it. We spent 4 or 5 hours on Friday moving it the 4 metres to sit by the doors. We used the crowbar to lift it onto steel bar to roll it along the floor. Next job will be to try to sell it on ebay.